Detectives are searching for the person(s) responsible for spray painting two swastikas in Cedarhurst. Swastikas were found painted in a Cedarhurst parking garage. March 28, 2016 - Cedarhurst, NY - The Fourth Squad is investigating a Bias Incident that was discovered on Monday, March 28, 2016 at 10:30 a.m. in Cedarhurst. 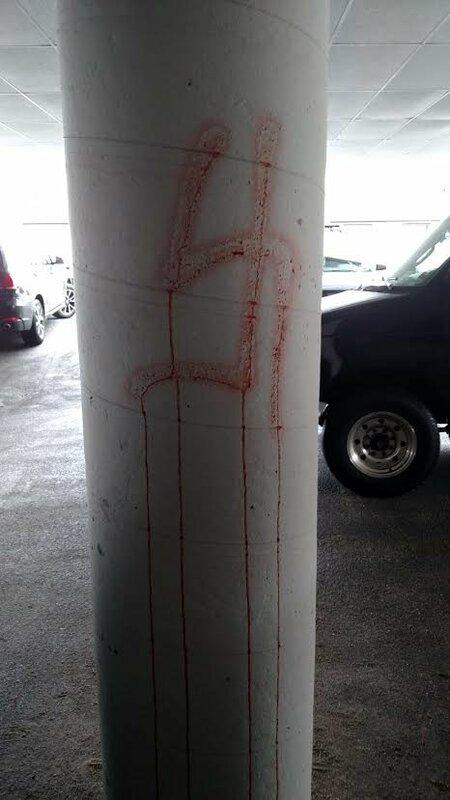 According to detectives, the owner of a Maple Avenue building discovered (2) two Swastikas spray painted in red paint on pillars of a parking garage.The criminal mischief occurred between Friday, March 25, 2016 at 4:30 p.m. and Monday, March 28, 2016 at 10:30 a.m.
Detectives request anyone with information regarding the above incident to contact Nassau County Crime Stoppers at 1-800-244-TIPS. All callers will remain anonymous. Subject: LongIsland.com - Your Name sent you Article details of "NCPD Hate Crime Alert: Swastikas Spray Painted in Cedarhurst Parking Garage"